The Clinton Health Access Initiative, Inc. (CHAI) today announced agreements with GPC Medical Limited and Shanghai Jolly Medical Education Co., Ltd. that will reduce the price of the neonatal bag and mask resuscitator and the neonatal resuscitation training mannequin by 30-61 percent. These deals are expected to expand access to products that are vital to treating birth asphyxia, a condition which causes an estimated 662,000 newborn deaths annually. CHAI’s work establishing these partnerships was made possible through financial support from the Norwegian Ministry of Foreign Affairs and is part of the efforts to implement the recommendations of the UN Commission on Life-Saving Commodities for Women’s and Children’s Health. The UN Commission on Life-Saving Commodities’ recommendations called for increased access to high-quality, affordable resuscitation products as part of a set of essential commodities for women’s and children’s health. Asphyxia-related deaths can be prevented with the correct training and equipment; however, the products needed for high-quality training and patient care are often unavailable in low- and middle-income countries (LMICs), with pricing and supply security commonly cited as barriers to access. 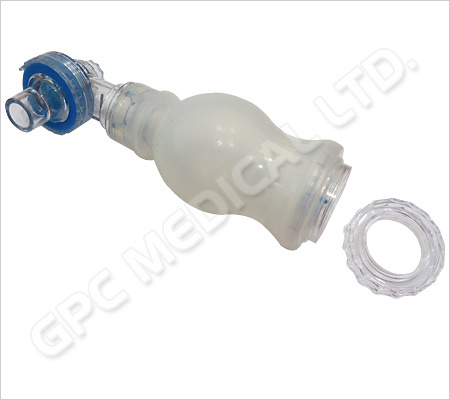 Under the first agreement, GPC Medical Limited has agreed to make the Basic Resuscitator-AN108 available for US $7.85-$9.50 per unit free on board (FOB), depending on order quantities, which represents a 53-61 percent price reduction versus the market-leading product in LMICs. This pricing is guaranteed through April 2018, with the possibility of extension. Pricing will be honored for any product purchases that will be distributed in 75 eligible countries, regardless of the purchasing entity. GPC’s product meets WHO product and quality specifications for the neonatal bag and mask resuscitator. Under the second agreement, Shanghai Jolly Medical Education Co., Ltd. has developed a new resuscitation mannequin under the MedMod brand—the JY/J-Mbaby Baby Jack Newborn Baby Simulator. Shanghai Jolly Medical Education Co., Ltd. has agreed to make the simulator available for US $42 per unit ex works (EXW), which represents a 30 percent price reduction compared to the market-leading product in LMICs. This pricing is guaranteed through March 2018, with the possibility of an extension depending on sales volumes achieved. Pricing will be honored for any product purchases that will be distributed in 74 eligible countries—the 75 Countdown countries excluding the People’s Republic of China—regardless of the purchasing entity. To ensure that the product meets resuscitation training standards, the Nigerian Society of Neonatal Medicine (NISONM) conducted an assessment of the Jolly Medical mannequin to assess its functionality and overall suitability in LMICs.